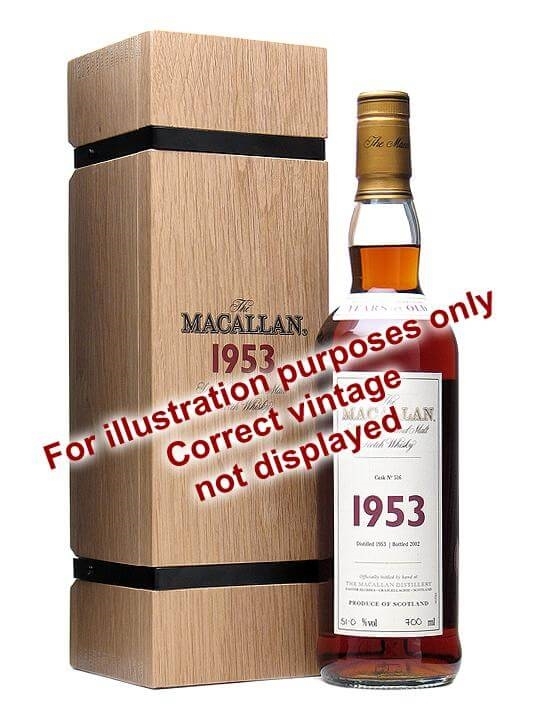 70cl / 43% / Distillery Bottling – A 1969 vintage edition of Macallan’s ever impressive 25 year old. 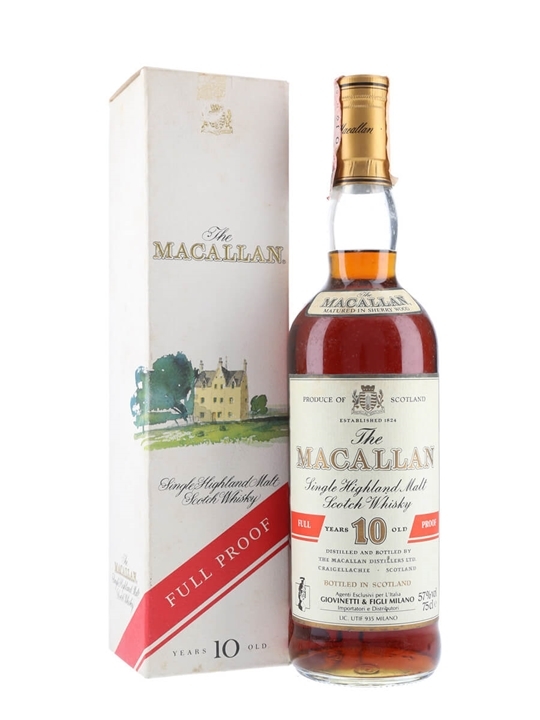 Bottled in the mid-1990s this is an incredible example of old-school, well-aged, sherried spirit from Macallan. 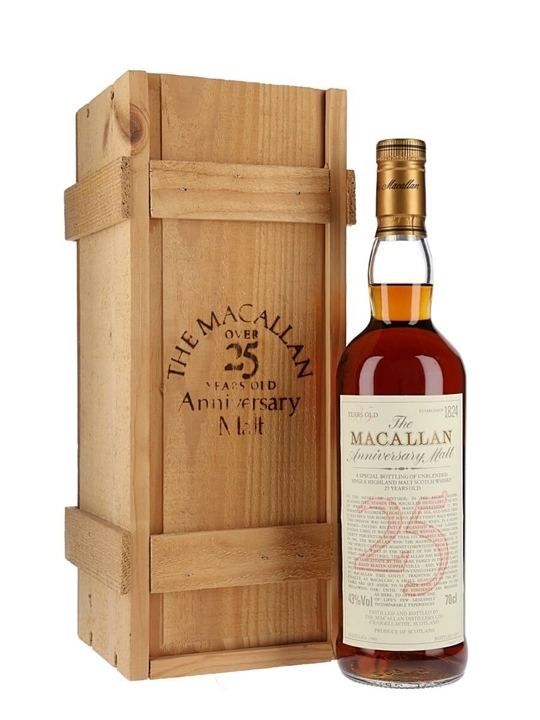 75cl / 57% / Distillery Bottling – A bottling of full proof Macallan produced for the Italian market and released, we think, sometime in the 1990s. 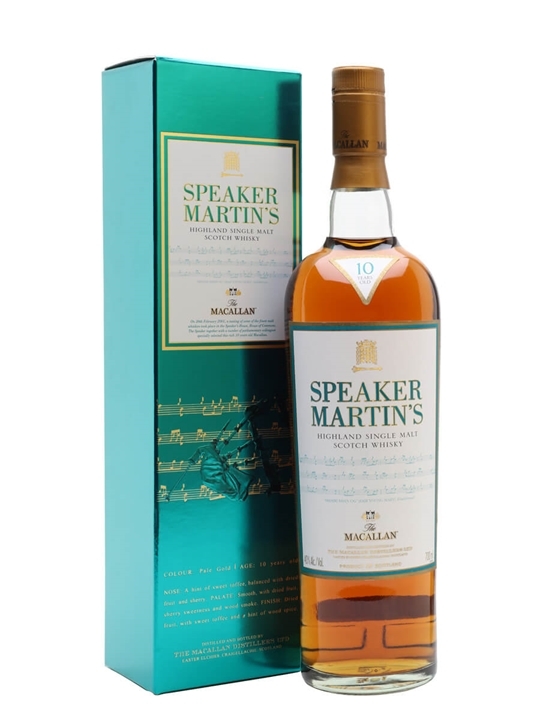 70cl / 40% / Distillery Bottling – A special edition of Macallan 10yo, selected by disgraced former Speaker of the House of Commons Michael Martin for sale at the tourist shop in the Houses of Parliament. An interesting historical piece, as Martin was forced to resign shortly after this version had appeared, meaning it was only available for a very short time. 70cl / 40% / Distillery Bottling – Another of the hugely popular Macallan Gran Reserva series, released around the turn of the century. 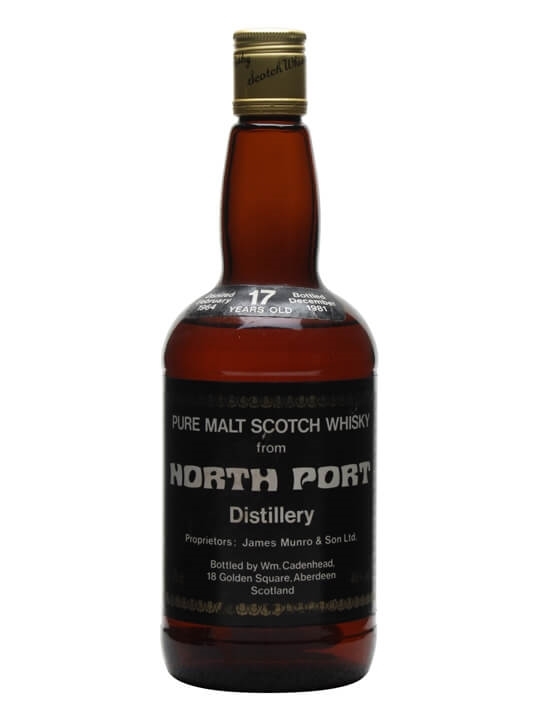 These releases were made in small batches from casks that were too good to be vatted into the standard 18yo release and are highly prized by collectors today. 75cl / 43% / Distillery Bottling. 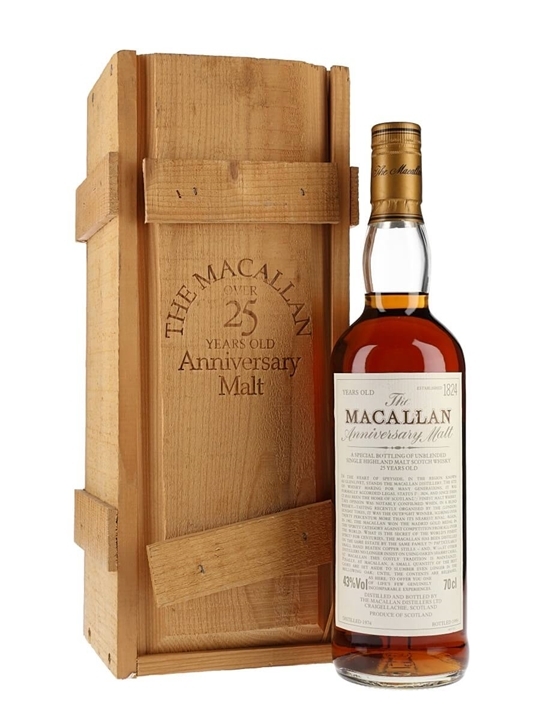 70cl / 48% / Distillery Bottling – A limited edition Macallan decanter first unveiled at Changi airport in October 2009 and originally a travel retail exclusive. 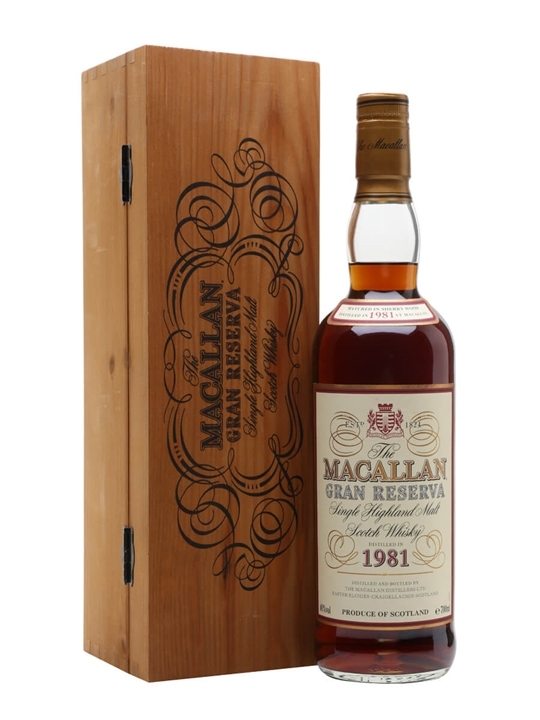 A combination of some of Macallan’s finest sherry casks, bottled at 48%..
75cl / 41.7% / Distillery Bottling – The 1841 was the third in a series of controversial replica bottlings of Macallan from the distillery. Whatever the provenance of the bottles that were replicated, the whisky is meant to be tremendous (the late great Michael Jackson gave this a 95 point score), ensuring that this is one of the most popular of these famous (notorious?) bottlings..